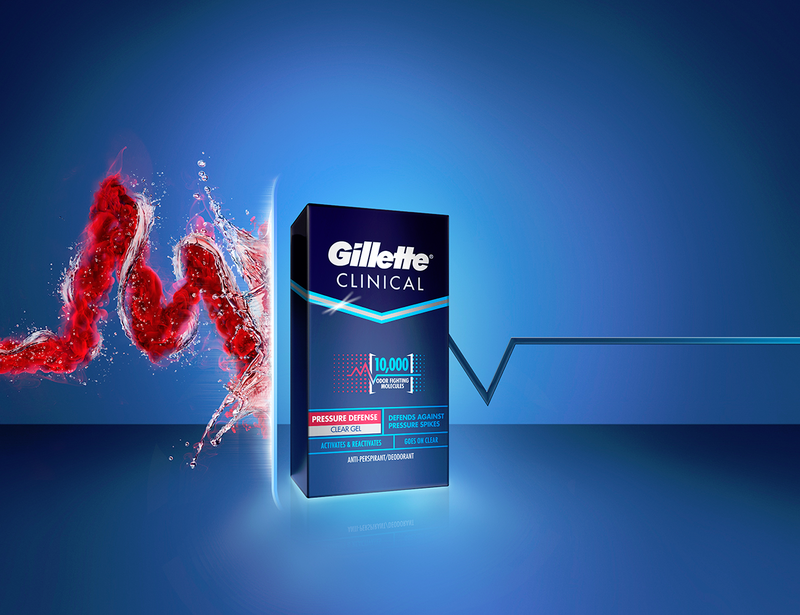 Here’s a striking new image from Bill Cahill‘s latest project for Gillette and the Gillette Clinical brand, highlighting the pressure defense capabilities of the deodorant. Bill worked with the team at The Integer Group and Art Director Ryan Baluyot for this campaign. Retouching was done by Impact Digital in New York. Bill Cahill is represented by JK&. See more of his work at bill-cahill.com.